JASON: Whether it’s because of my writing style or because I publish these reviews on a website with my name in it, you’ve probably realized by now that I’m not an actual critic. I like to think that I know a little bit more about film and television than the average viewer, but no one has ever paid me to talk about them, so officially, I’m just an interested amateur. So, when I watch a show, I don’t always do so as a professional, meaning that I don’t engage with the program on a very high level. All this is to say that “Trou Normand” is the first episode of Hannibal that I’ve watched with my “critic hat” on at all times. Or maybe I just feel that way because the thematic stuff was right up in your face this week. One thing I like about this show’s killer-of-the-week format is that the killer is never the point. Sometimes, Will just figures out who the killer is and they track him down without any trouble–in one episode, the guy just hanged himself. Last week was an exception: Tobias was clearly the focus of the plot, and Will and Hannibal’s developing relationship just hung off of it. In an episode like “Trou Normand,” the serial-killer plot is pure thematic fodder, a smaller story about a father that echoes the larger story of Will and Hannibal’s relationship to Abigail. Like I said, the parallels aren’t that subtle, but no one calls them out, either. Hannibal explicitly tells Will that they are now Abigail’s surrogate fathers, but he doesn’t say, “I mean, we can at least be better fathers than that guy who killed his son, am I right? Eh? I eat people.” Or whatever he would say. I can’t do it, but you know. Okay, I’ll just say it: the deft use of parallel plot points, along with the long-form storytelling and attention to character detail, makes Hannibal the Mad Men of serial-killer shows. What say you to that, Kate? WHAT SAY YOU? KATE: Whoa, whoa, whoa…okay, sure. That parallel kind of works and I can’t explicitly argue against it; however, I don’t know if it matches up. For one thing, we’ve only seen one season of Hannibal. Mad Men has been consistently subtle and engaging for six seasons. Hannibal has only made it through half of one. Any number of television shows can manage to pull off a great first season before muddling off into Crazy Town (Lost, Nip/Tuck) while any number of others have subpar first seasons before becoming something great (Parks and Recreation, Buffy the Vampire Slayer). Not that I doubt Hannibal. If it manages to be renewed (looking at you, NBC) I think it has a great run ahead of itself, as long as it doesn’t stray into Hannibal Rising territory. Speaking of Hannibal Rising, let’s talk Mischa and Abigail. Mischa, as I’ve mentioned in earlier reviews, is the younger sister of Hannibal, introduced in Hannibal Rising. Her demise (on the part of flesh eating Nazis) is also the apparent source of Hannibal’s cannibalism, although in this more modern interpretation, that’s up for debate. I have to wonder when or if the show will attempt to explain his cannibalism. They can only do better than the source material, but they would need to come up with something better than a chewed up version of Godwin’s Law. As flawless as Mads Mikkelson looks, I can’t in good faith believe he’s secretly 70 years old. So why do I bring it up in the first place? Well, there’s a ton of parallels between Mischa and Abigail. Mischa is Hannibal’s younger sister. 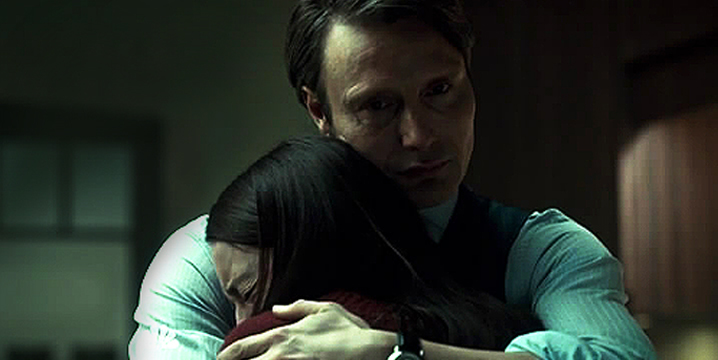 After the death of their parents, Hannibal feels an understanding amount of responsibility for her well being. This is ultimately undone when she is eaten in front of his eyes and he is forced to watch, unable to help her. So, he becomes the Hannibal of Red Dragon fame. Hannibal, in the television show, has an odd fascination with Abigail. He helps her to dispose of a body, he agrees to keep her role in the Shrike case a secret and decides to enlist Will in all of it. But why? It makes sense for Will to have an odd fascination with Abigail. This is the man who adopts any stray dog he comes across, let alone a vulnerable teenager with a cannibalistic psychopath for a father. He shot her father, ergo he feels a sense of responsibility to her. But Hannibal? What does he see in Abigail that he feels the need to endanger himself so boldly? JASON: Now, the Mischa thing is interesting: the way I understand it, Bryan Fuller and his cronies only have the rights to the characters in Red Dragon... but anyone who’s read Hannibal has got to be thinking about Mischa whenever Abigail shows up. When “Trou Normand” went all greyscale at the end, I honestly thought for a second that we were flashing back to a scene of young Hannibal and his sister, which proves that for all my talk of parallels and motifs, I am actually a moron who doesn’t understand how television works. As long as we’re (tangentially) on the subject of Mad Men: when Peggy left SCDP last season, I spent a full week trying to convince everyone that she was leaving the show for good. Like I said: moron. If we operate under the assumption that Mischa doesn’t exist in this universe–and we have no reason not to–then Hannibal’s feelings for Abigail are pure mystery, which I think is the intention. My guess? Hannibal is intrigued by her semi-latent murderous impulses, and not just in a clinical way. I have no doubt that most of Dr. Lecter’s actions are fueled by curiosity, completely removed from all human emotions, but when you consider his relationship with Will and Abigail, it looks to me like Hannibal is trying to build a family. He’s doing it in a pretty horrific way, of course: identifying people with severe mental disorders and manipulating them into trusting him. But given that this version of Lecter was also an orphan, it stands to reason that he might want to form a makeshift family… even if it’s only as an experiment. There’s a line from episode four that I keep going back to. It comes during a session between Hannibal and Will, in a scene so important it was included in the cut-up “webisodes” version. 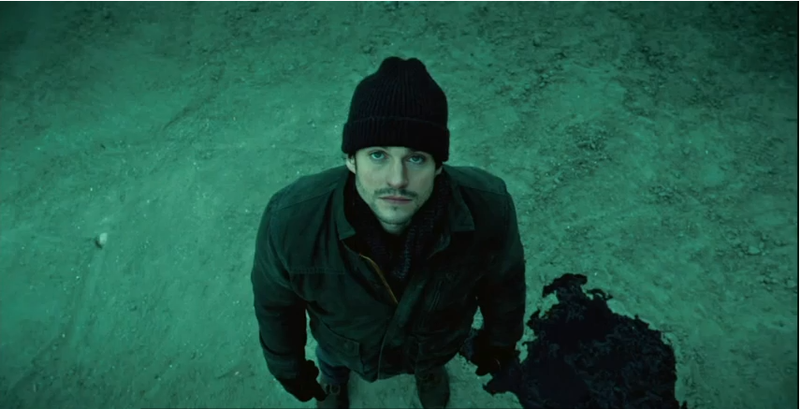 In it, Hannibal is questioning Will about his parents, and Will says “There’s something so unnatural about family. Like an ill-fitting suit.” I’m starting to think that “family” is a major theme of this season, since it’s so tied-in with Abigail and her struggles. 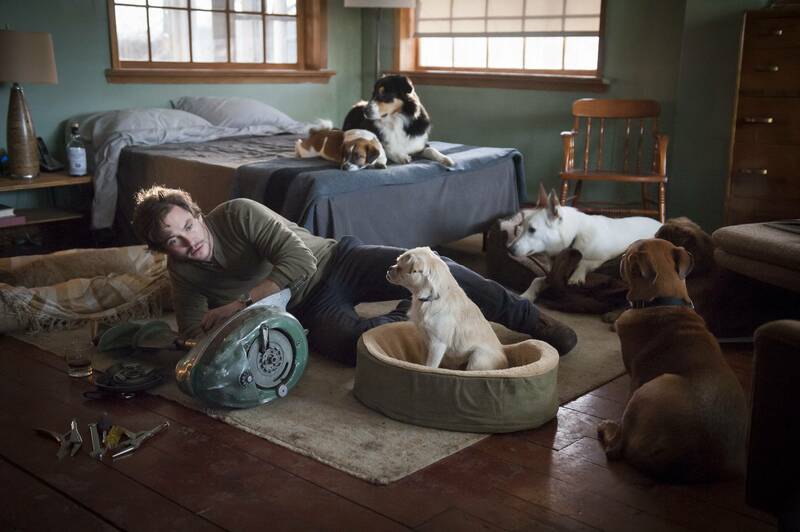 Let’s not forget that Will keeps his own canine surrogate family at his home. What do you think, Kate? Am I grasping at straws, here? It’s hard to make these sort of declarations about theme when you’re barely 2/3rds through the season, but I don’t think it’s too much of a stretch. KATE: Wait, you really thought they were going to write Elisabeth Moss off the show? You fool! As the show goes on, I’m becoming more and more convinced that Peggy is the show’s protagonist. She’s certainly more developed and likeable than Don, at any rate. I also should admit here I have the worst kind of fan crush on Peggy Olson, so don’t pay attention to me. Anyway, back to Hannibal. I don’t think the theme of family is a stretch at all. It’s right up there with the complexity of the human mind and what motivates actions versus merely thinking about them. The idea of family as presented on the show, either as an ill fitting suit or what we make ourselves, is all over this show. After all, Garrett Jacob Hobbes killed young women bearing a resemblance to his daughter so he wouldn’t have to kill her, Hannibal is busily assembling his own idea of family with all the strays he’s picked up and Jack is increasingly haunted by his failure to save his wife or his surrogate daughter. I do think, however, that Hannibal’s apparent fondness for Abigail and Will is equally motivated by curiosity and…well, fondness, in so far as Hannibal can feel it. He’s curious about mankind on the whole but when he meets someone who strikes him as clever or talented, he is right in the middle of it. There’s a reason so many fanfiction writers out there write about Hannibal and Clarice Starling. Actually, I can only assume that they’re out there. Having never read any of it, save the unfortunately canonical Hannibal, in which Clarice and Hannibal run off to Buenos Aires together, I can only assume there’s far worse. This is the internet we’re talking about, after all. At any rate, Hannibal is extremely rich in symbolism, like we’ve pointed out before. Some of it is bound to be less or more intriguing as the season progresses. Do we even want to delve into the Dr. Bloom/Will romantic subplot? I found her rejection speech to Will a little strange and lacking motivation. Was he ever trying to just sleep with her? I never got the vibe. It was more of a desperate grasping at straws, part of the general “Will be crazy” character motivation they keep pushing. I’d like to think that their little chat would stop this from continuing as a plot development, but I’d just be lying to myself. Tumblr won’t let anything die, let alone an on screen kiss. JASON: I just realized that we haven’t mentioned the fact that Lance “Frank Black” Henriksen made a cameo appearance in this episode! I was hoping we’d get a full-on MilleniuM reference and Henriksen would play Will’s mentor who taught him the ways of criminal profiling… but instead he was just the killer of the week. Oh, well. Apologies for the delay in reviews. Jason went to Sweden. I was moving and experiencing the living hell known as “no internet.” Things were a little frantic for all of us. But! We’re back and theoretically better than ever. Hannibal remains a visually stunning show with amazing special effects and set design. However, after the latest episode, I’m a little worried that Hannibal may be relying a little too heavily on it. A lot of genre television can fall into this trap. The Walking Dead, for instance, routinely relies on gore in place of plot or character development or anything that doesn’t involve Norman Reedus in short sleeves. However, after a few episodes of puttering around in front of scenery, the audience is bound to get bored or at the very least, want more. Yes, Will is crazy. Yes, Hannibal is up to something nefarious. We get it. So what’s next? Preferably it will involve forward momentum and not a forced love triangle between Will, Hannibal and Dr. Bloom. Having said all that, I absolutely love watching this show and want it to last forever. Jason, what are your thoughts on this episode? Can that many serial killers live in the Washington metro area? Does Hannibal even have a receptionist? Are you Team Will or Team Hannibal? JASON: To answer the most important question first: I am on Team Willibal. Or is it Team Hanniwill? Whatever you call it, Hannibal/Will is the most convincing love story in the show. Comfortingly, everyone involved in the show seems to realize it. The kiss between Will and Dr. Bloom is played on all sides like a bad idea, something Will is forcing himself to do in search of a distraction. Meanwhile, the moment at the end when Hannibal sees Will walk into his office looks like the end of a telenovela. Hannibal explicitly addresses the idea of friendship in this episode, and he and Will are definitely more than just co-workers at this point. Will drove an hour in the snow to talk to Hannibal about his kiss with Dr. Bloom! They’re besties! They tell each other everything! Well, except for that one thing. 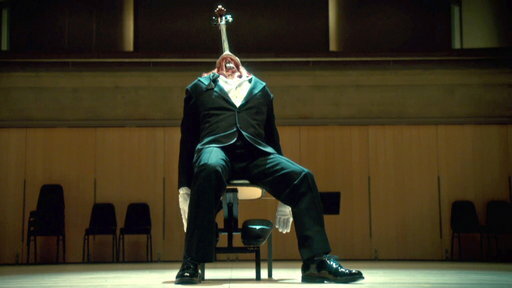 Digression coming: the way Hannibal is playing the Will/Hannibal friendship as tumblr-bait is the creepiest thing in the show this week, and this was an episode where a guy made violin strings out of human guts. Most people would agree that the way traditional violin strings are usually made is kind of icky. But in the midst of all this over-the-top carnage, there’s a real relationship forming between these two people, neither of whom is able to be friends with anyone else. But one of them is a murderous cannibal! It should be incredibly jarring, but the fact that it’s not is a testament to how captivating this show is. It draws you in slowly, but once you’re in, you’re SO IN that you’ll accept a friendship between an autistic teacher and a murderous European psychiatrist. The show’s pace doesn’t bother me, because it feels like we’re building towards something. Maybe I have too much faith in Bryan Fuller, but I’m betting we’ll get a good payoff from this “Will be crazy” plot-line That said, I do see how you could be annoyed with it: at times this does feel like the slowest nervous breakdown ever depicted. 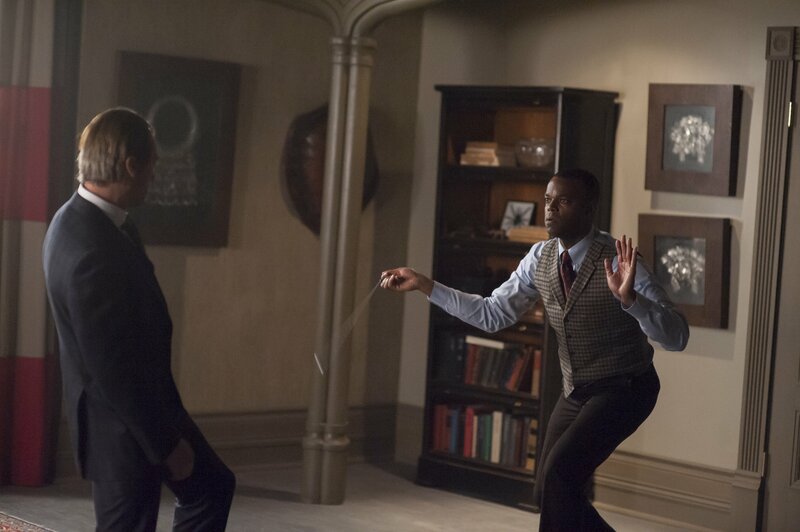 Ah, but Hannibal threw us a bone this week, with the most action-packed episode yet! The results were… odd. What did you make of the serial killer showdown, Kate? KATE: Ah, the serial killer showdown…as I mentioned earlier, most of my worries about the show stem from the seemingly endless supply of serial killers in and around the DC area. This is no exception. I found the entire relationship between Hannibal and Tobias felt extremely odd to me. Wouldn’t a serial killer as intelligent as Hannibal and Tobias want to not draw attention to themselves? I guess you could argue that it’s all part of the serial killer shtick. Hannibal and Tobias feed on anonymous attention. Hell, it’s the whole reason Hannibal is helping the FBI. It feeds his ego. He likes to test them. It’s part of the reason he likes treating Will. He can test him on any number of psychopathic litmus tests while amazingly maintaining his own secrets. At any rate, the serial killer showdown makes for thrilling television, even if it wasn’t that suspenseful. Did anyone out there really believe that the title character would be killed halfway through the first season? Honestly, the Tobias encounter seemed to come out of left field. It did serve to force Hannibal into the foreground at the FBI. Why would Tobias attack Hannibal? How did Hannibal escape? They had foreshadowed Tobias’, um, proclivities in earlier episodes, but this felt a little forced all around. They could have let the character simmer a little bit, giving him more motivation or well, character, instead of making him into a cheap Lector knockoff. Killing a professional musician because he can’t play to your satisfaction? That’s a direct reference to a victim of Lector’s in Silence of the Lambs, although to be fair, Lector’s patient was a flutist and wasn’t turned into a human cello after he died. This show is obviously a rehashing of familiar material. We vaguely know the characters, the story and the oeuvre of Hannibal at large, but the details have always been a little muddled. Yet, the continuing call backs to previous material is becoming a tad redundant. Yes, Eddie Izzard’s character killed a nurse while feigning illness. Yes, Will Graham finds himself staggering around blind in a killer’s basement. Yes, Eddie Izzard resides in a glass cell. Yes, we find carved angels hanging in rafters. These, as creepily and effectively executed as they may be, are merely rehashing of older source material. Hannibal, at his worst, is an effective villain because his cruelty is severe and disturbing, even as the man himself comes off as civilized and charming. His dinner party (where “nothing is vegetarian”) is a perfect example of this. Jason, I am happy we’re on the same page as Willibal/Hanniwill, although it is disturbing for me to think that I’m on the same page as Tumblr about anything. JASON: Confession coming: I haven’t watched the Hannibal films in a long time. So, while I do catch most of the references (the glass cell, the flesh-angels) I miss a lot of the smaller ones (the way Eddie Izzard killed that nurse, the Florence Domo from episode one), and I’m less likely than you to be annoyed by all the call-backs. You may disagree, but I don’t think it’s gotten to the wink-wink-nudge-nudge level where it’s overly distracting. I don’t know how bad it would have to get before I would complain, since my original conception of this show involved Hannibal turning to the audience and winking every time he made a pun about cannibalism… my quota for in-jokes is pretty high, is what I’m saying, and we haven’t filled it yet. The parallels between Buffalo Bill’s house and Will’s journey into the cellar this week was actually pretty clever. It didn’t call too much attention to itself, but it forged a nice little connection between the series and the show. Best of all, it made sense: Tobias needed a place to make his signature strings, why WOULDN’T it be a creepy basement? As for things that make sense but still weren’t good, the Serial Killer Rumble was incredibly distracting. Hannibal is about 75% atmosphere, and I’m not complaining–very few television shows have committed so fully to ‘bad vibes’ as a form of storytelling–but atmosphere is a delicate thing, and when something like a karate battle between two serial killers gets thrown into the mix, it can dispel that atmosphere like a thin mist. It was a well-directed fight scene, but it felt like it was from a different, much goofier show, where violence doesn’t matter, and two men can trade blows for five minutes without really doing any damage. Hannibal certainly has its over-the-top moments: nearly every murder scene contains a tableau that would put Ed Gein to shame ten times over. But as unrealistic as some of these murders are, that heightened brutality is a key part of the show. I might go so far as to say that, at a certain point, the murders are supposed to seem ridiculous. We’re supposed to stop being shocked by them and start feeling exhausted by them… just like good ol’ Will Graham, who gets a little crazier every time he sees the human body so flagrantly abused. You see how I brought that back around, Kate? You see that?